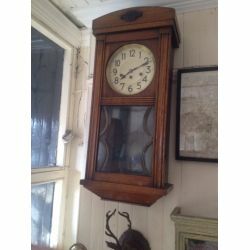 Antique & Vintage Clocks including long case clocks, wall clocks, mantle clocks, etc. 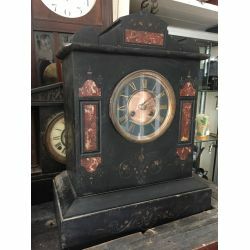 Period clock including Victorian and Edwardian Clocks. 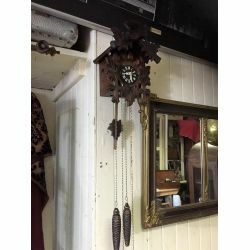 Antique Clocks There are 8 products. 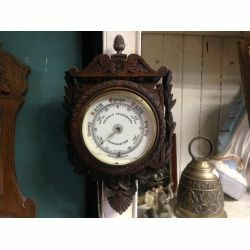 Antique BarometerBeautifully carved oak frame on a barometer that needs a little T.L.C. 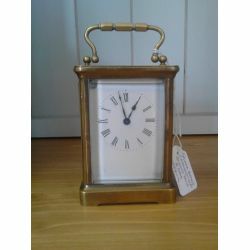 (one dial is broken and sits inside)Measures 360 mm high x 220 mm wide. 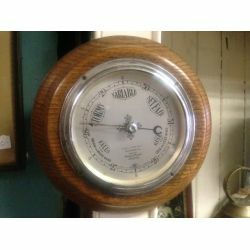 Circa 1950 Oak Framed Barometer.Excellent quality/condition and neat sized piece of yester-year. Marking are from Sarat and Mason. 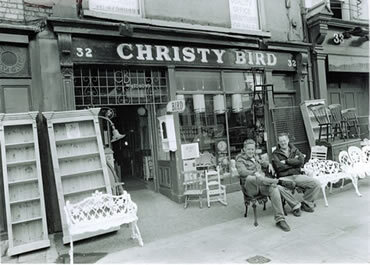 Measures 200 mm diameter. 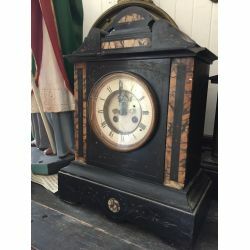 Stylist vintage clock in perfect working order. .
Late Victorian Slate & Marble Mantle Clock. 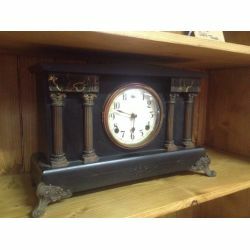 Victorian Large Slate & Marble Mantle Clock.